“Carbs” has become a dirty word in recent times, especially in the weight loss world, due in no small part to the popularity of low-carb diets such as the Atkins, Dukan and South Beach. The “carbs are bad” mantra peddled by Dr Atkins and co has left many people confused about carbohydrates and their importance for your health, including maintaining a healthy weight. Dietitian Sian Porter says: “Carbohydrates are such a broad category of foodand people need to know that not all carbs are the same. Find out all you need to know about carbohydrates, their health benefits, healthier sources of carbs and how carbs can actually help you lose weight. I’ve read through the article in full, and as the opening lines suggest, it takes a ‘carbs are good and fat is bad’ stance. We are told, for instance, that carbohydrates are a major source of energy. Well, that’s certainly going to be true if we eat a carb-rich diet. However, even on a very low-carb diet, individuals are able to get energy from somewhere. Much of it will come from the metabolism of fat, and some will also come from glucose manufactured from non-carb sources (specifically certain amino acids). The absolute requirement for carbohydrate in the diet for energy is actually none at all (if we’re going to be accurate about it). There is no mention here of the differences between ‘insoluble fibre’ and ‘soluble fibre’, and the fact that the idea that the former (found in wholegrain cereals and bread) is not the bowel ‘cure-all’ it’s often made out to be. We may be advised to eat 18 grams of fibre a day, but where did this magic figure come from, and what evidence is there that eating less than this somehow jeopardises health? If Dr Atkins has instilled one message into our weight-conscious minds, it is that carbs are fattening. In fact, gram for gram, starchy foods contain fewer than half the calories of fat. Again, we are reminded of the supposed benefits of fibre in weight control: “Wholegrain varieties of starchy foods and potatoes eaten with their skins on are good sources of fibre. Fibre can help you to feel full, which means you’re less likely to overeat and put on weight. There is absolutely no recognition in this article, though, of the influence of hormones such as insulin and leptin on fat storage, and the differing effects of the major macronutrients (e.g. fat and carbohydrate) here. Also, I think the idea that ‘fibre is filling’ is generally misleading. Most individuals recognise that eating bagfuls of apples or a roomful of rocket will simply not sustain them like, say, a meal with some protein and fat will. In fact, there is abundant evidence to show that low-carb diets generally satisfy far more effectively than high-carb one. When individuals adopt a low-carb diet, they very often are less hungry and eat less as a result. Typically, individuals will spontaneously eat several hundred calories less each day. The article cites one study  as evidence of the fact that low-carb diets do not produce better weight loss than ‘more balanced’ ones in the long term. However, this study had more than 40 per cent of people drop out before its end, and we have no idea how well the remainder stuck to the prescribed diets. How about we take a wider view? See here for a comprehensive review of 23 studies which have pitted low-carb diets again ‘better balanced’ low-fat ones in terms of the effects on weight loss and disease markers. You will see from this review that low-carb diets win hands-down. The NHS Choices article about carbohydrate is, to me, rich in rhetoric, but light on science and balance. I think you can tell bias might be at play when Dr Robert Atkins’ low-carb premise is described as a ‘mantra’ that has been ‘peddled’ in the article’s opening lines. To my mind, dietician Sian Porter and the NHS Choices website have done an appalling job of communicating the facts and summarising the evidence. For me, the article reads like a missive from the nutritional flat-Earth society. It seems to me that many people are acutely aware of just how misleading, outdated and perhaps even hazardous the article is. Those who spout conventional nutrition wisdom that does not stand up to scrutiny are increasingly suffering from a major credibility issue. And they only have themselves to blame. I thought I’d check to see if how the article ratings were going. Here they are (below), and the public response appears to be even more emphatic than before. It seems the vast majority of readers believe that the NHS Choices website and their resident dietician have simply failed to provide helpful (or accurate) information on carbohydrate. In short, I think many regard ‘The Truth About Carbs’ to be a pack of lies. 1. Foster GD, et al. A randomized control trial of a low carbohydrate diet for obesity. N Engl J Med 2003;348:2082–2090. 57 Responses to Can we trust the NHS and dieticians to tell us the truth about diet? I leaf through lots of health/exercise mags in the gym cafe and there is definitely becoming an acceptance of the principle of moderating carbohydrate consumption. There are numerous adverts for high protein snacks and every other recipe includes high protein Total Greek yogurt. I remember an article by an ex rugby league professional – now personal trainer, of course with a magnificent physique, who recommended 200 gms a day of carbohydrate. This is what men take note of, not an NHS Choices dietician. I know 200g is considered high in the low carb world, but it is a heck of a lot lower than the 365g the Government recommends for males, and I’ve found that sticking around 200g for the last couple of years has lost me three inches from my waist, and (necessarily for me) requires very little self-discipline. Give it a couple of years. Don’t we now love all things Swedish? Next will be their low carb eating. Well I give up on all diets. I eat low carb and haven’t lost an ounce of weight. So they are bogus too. I have no choice but to eat low carb being diabetic. Think my hormones must be shot. try using a web-based free tool like “My Fitness Pal” to work out exactly what you are eating. With a 70% fat, 20% protein, 10% carb ratio and keeping your calorie count to about 1000, you may be surprised when you put your foods in to see where the carbs are coming from. Keep your carbs to 30g/day and I’m pretty sure you will lose weight. It is a common trait in the modern human to discount the importance residing in matters a person doesn’t know and doesn’t know he or she doesn’t know. Having rightful regard and curiosity for matters he didn’t know, and perhaps even didn’t know he didn’t know was the leading distinction that enable Albert Einstein to come up with theories of general relativity, special relativity, and insist E=mc². The inclination of an to trust that all of their opinions are in accord with facts and reality is the single-most prominent trait that hinders their ability to use all of the intelligence they have at their disposal, and explains the stubborn adherence to dogma of the kind discussed above. Previous educational event sponsors for the BDA have included Kelloggs…. The dietician at my Diabetes Clinic once told me that I can eat any cereals for breakfast as long as I don’t see sugar glistening on the surface. I just laughed out loud, I couldn’t believe this twaddle; it was like asking your old aunty for advice (she’d probably have done a lot better, thinking about it). Whenever I’m now asked whether I want to see the dietician, I tell them “No”. They are so mired in the past nonsense (most of which has no scientific basis) that it’s pointless even attempting to reason with them. If I eat bacon and eggs for breakfast, I don’t need to eat until dinner time, in the evening. When I ate cereals or granola, I felt hungry again within 3 hours. NHS dieticians, do some scientific research and stop regurgitating past government advice which is utter nonsense and the Food Industry lobbyists. A happy & healthy Christmas to you Dr.Briffa.I used to eat “healthily” according to some dieticians. (wholegrain bread, pasta and low fat everything.I was 3 stones overweight after stopping smoking and no matter how much I dieted or starved myself all that happened was Irritable bowel syndrome and bloating from all the “FIBRE”I then bought your brilliant book WAIST DISPOSAL and subsequently lost all my excess weight.To me this was a miracle because I never exercised once,I just ditched the “healthy” carbs and started to enjoy butter,double cream and no more Irritable bowel or bloating.I have been following your guidelines for the last 2 years with the exception to the odd fruit scone.I am 7lbs over my ideal weight.I thank you sir.If the government was seriousl with regard to the nations health,you would be the health tzar par excellence. 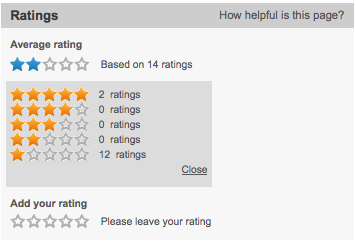 67 of 70 ratings of this article are ‘one-star’ – ‘unhelpful’. Hopefully, it will not stay long on NHS-choices website. Pure propaganda piece for high-carb low-fat dogma, not a balanced article. Thanks for debunking! Thanks Phil – have corrected that type now, and thank you for your very kind sentiments! I was diagnosed with atypical Type 2 diabetes some seven years ago. I am thin and not insulin resistant. As all diabetics are, I was referred to the NHS dietician at my GP practice. I had been already given a blood glucose meter and had discovered very quickly that the kinds of foods which raised my blood glucose were those carbohydrates, any bready things, any grains, and starchy vegetables, along with sugars. I’d cut them out, no problem, I didn’t miss them. The dietician refused to look at my blood glucose measurements, refused, she said I had to get some carbohydrates – when I pointed out that I was getting some carbohydrates from leafy green vegetables it fell on deaf ears. She wanted me to eat grain foods, starchy vegetables and dried fruit ! The consultation was a recipe for diabetic disaster. I complained about her in writing to my GP and, thankgoodness, he had any notes she’d written about me erased from my medical records. My endocrinologist, when he saw a copy of the letter of complaint, said I knew more about nutrition than the dietician ! It would seem that the NHS has gone very much backwards since the mid 1950s – ie before Ancel Keyes and his ilk demonised fats and elevated carbs. I’ve got his book. What a tragedy they don’t sell it through Amazon. please leave your feedback about the article via the feedback button on that page. Last time I looked I did not have a calorific bomb furnace at the end of my gullet. I (and you ALL) process cabs/fats and proteins in completely unique biological processes one from the other. Time to debunk the Calorie Myth once and for all. ISBN-13: 978-0062267337 ) A nutrition and exercise expert and former personal trainer who has registered over 25 patents and serves as a Senior Program Manager at Microsoft. So he is no slouch on the science front. “Well I give up on all diets. Have you given thought to the quantity and quality of the fats you eat, Dawn? Your hormones are unlikely to be ‘shot’, but they may be out of balance. You will struggle to lose weight if insulin remains high, and you may struggle to normalise levels of insulin wile insulin resistance persists, if insulin resistance is one of your issues. It sounds to me as though cortisol is not something you have considered. Cortisol and insulin work almost hand in glove in that a spike in cortisol may spike insulin, and perhaps vice versa. If levels of cortisol are high the conversion of dietary proteins to glucose is potentated by a factor as great as 6 to 10 times. In simple English dietary protein can spike blood glucose and elevate insulin in individuals with raised cortisol. Cortisol commands a dominant position in many a endocrinological cascade it seems, so normalising cortisol is the way forwards. You could read ‘Lights Out (Formby and Wiley) but what you need to address may be simple. If do not get an adequate amount of beauty sleep each night hormones (cortisol) cannot normalise and you’ll struggle to induce metabolism to run on lipolysis/ketosis. Creatures that hibernate survive over winter on a metabolic balance favouring lipolysis/ketosis so let you mind run free as to what environmental signals get commuted to physiological signals. We are light sensitive creatures; many creatures are cos the alterations in day length are the triggers that alter behaviour and have then hunker down for winter. Light pollution, ie low levels of light about when it would otherwise be dark, still have command over some hormonal cascades, and so unless you (can) sleep in deep dark hormones may not be permitted to normalise to great the new day. Insulin may remain high, lipolysis (fat-burning) may be barred, and appetite will still hanker food and snacks. Consider using a sleep mask. Do you need blackout curtains? and is their a light source in your bedroom that is disruptive? I found I opened the gate to lipolysis and ketosis (fat-burning) by adding significant amounts of butter and double cream to the balance of what I ate, and although this may seem reckless it is to be borne in mind that the supposed link between saturated fat and heart disease is a fiction, and that adding fat to the diet can help normalise appetite to the extent it discourages snacking or over-eating. I found I could go longer between meals and felt disinclined to overeat at meal times. Fat addresses the dysregulation of appetite that cabs can induce. The value of fats and fibre to the diet is that help attenuate the business of digestion and diminish the spike nature of blood sugar after a meal. There should be quiet time before eating, the meal should not be rushed, and there should be quiet time after the meal too. Furthermore free electron deficiency can permit dysregulation of cortisol along with other physiological parameters, so it is worth sleeping earthed and worth earthing at other times in the day if you can. What is your take on dramatic increase in LDL-C and LDL-P (tested via NMR) in some people who go on a low carb diet? Increase in LDL-P is clearly an increase in heart disease risk although HDL-C and Triglycerides improve? As NMR is not available in UK can we get our Apo B tested via NHS GP? I smiled when I read Jonathan’s comment about the Swedish ‘low carb’ eating as this was not something I noticed during a recent 6 week visit there. I struggled to keep to my usual low carb diet (I’m type 2 diabetic) thanks to high cost and poor selection of fresh green veg in shops, and lack of availability of low carb bread, e.g. Burgen (Swedish bread is delicious, but commonly contains added sugar). Thank goodness for Lidl whose reasonably priced curly cale and brussel sprouts formed the mainstay of my diet. In my experience eating out or at friends’ houses in Sweden also involves large quantities of bread, buns, sweet drinks, potatoes, etc, all delicious but….. This is in no way intended as any sort of criticism, just to say that we should not go round believing that some other country’s inhabitants have got it sorted when we haven’t over here. On a separate point, I do so agree with the comments about NHS dieticians. Never met one who was not totally useless. Some of you might wish to view Dr Robert Lustig’s lecture, if you have not already done so, who raises another obvious and interesting aspect to this topic. At the beginning of his lecture he raises the question of the difference between the Atkin’s diet consisting of fat and protein and that of the Japanese consisting of carbohydrates which, he says, produce the same results. I tested his findings but after two weeks abandoned it but, interestingly, within a few hours my almost constant gout symptoms ceased and have not returned; that was about five weeks ago. Indeed, being free of gout made me almost forget that I had suffered from it. Well at least we agree on the issue of sugar! Nutritional Science is challenging because it’s very difficult to do controlled studies on food. After all, how do you do a double blind study on a cheeseburger? Thus we also need to rely on empiric science, common sense and evolutionary biology to guide us. It really comes down to one basic principle. The Food-Industrial Complex has yet to come up with a fake food that matches what Mother Nature produces. When it comes to food, stick with the real deal. Thank-you Dr. John Briffa for this post, “Can we Trust the NHS and Dieticians….” The calories alone observations of the author you are analyzing are pathetically uninformed. I appreciate your reminders about the importance of hormones and differing effects of the major macro nutrients. And, how about those 23 studies that show more weight loss and improved health markers on the Low Carb diet versus the Low Fat diet? 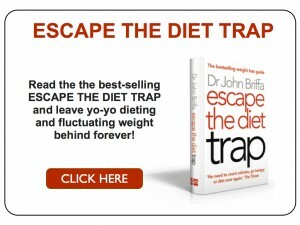 I have read and reread “Escape the Diet Trap” since February 2013 and found information that is up to date according to current science and studies, that has changed my life and health. I have no diseases, but all of the health markers in my blood test results have improved! And I have lost excess weight. The sponsorships from cereal companies et al that plague the nations health will fall away as people stop listening to retro dieticians and hilariously uninformed doctors. You and your drug pushing brethren are the reason I don’t want to be a GP any more. First, do no harm. I am sick of hearing ‘Celebrity’ TV chefs banging on about the low fat recipes being best; fat is ‘fattening’ and whole grains are good for us, and fruit being mega important. To me fruit is merely something I eat for a ‘change’, or treat; ever aware of the sugar it contains. As to the full truth to be declared, I fear that the grain industry is just too powerful. Until we ‘starve’ them into submission by ‘losing the bread’, nothing will change. The economy relies on grains far too much for this to ever happen. So I carry on following the advice of Dr. John and other enlightened experts, and I continue to lose weight. Sian needs to get the facts right before trying to tell ‘the truth’ about carbs. I have coped with fluctuating sugar levels all my life until low carbing. And far from having no energy, I have never felt so energised with no bloating, acid, cravings or hunger! Most of what she is saying is just plain wrong! What Dr briffa is saying is accurate! It seems very simple to me – avoid sugar, and carbs are just sugar in another form! Cut down the carbs and you cut down the sugar! Simple! And effective!!! As a T2 diabetic, I can measure the sustaining effect of cereals compared with low carb, blood glucose measured before & 1234 hours after b’fast. 20 minutes at 150 deg C.
It’s a firm spongy texture. I bake about 3 lots a week, & use them in place of carbs, or sliced & spread with cheese, peanut butter etc. As far as I recall the NHS is still in public ownership isn’t it? So in effect this woman is being paid by the public (and I’m guessing others who have a vested commercial interest) to deliberately mislead us? Is that right? At some point doesn’t someone have to ask why this article is getting such poor ratings? Don’t they? Or do they simply not care about public health or what the public thinks? This oldie has lost two and a half stones on a high fat, low carb, non-starchy veg, sour berry diet. I am never hungry. I found that it took about a year for the weight to start coming off after such a radical change. Before, I could not stop eating bread and sweet things. Now, I’m not even tempted. To be in control of something that made me fat, tired, unfit, lacking in energy and depressed has been wonderful. I think low-carb and exercise is the way to go for those of my generation who want to keep going with a good quality of life. I am wholly in agreement with the diet article. I do eat vegetables and fruits but concentrate on getting nutrition from meat and fish. I am 91 now and keep a good diet and exercise. I have just cured myself of prostate cancer diagnosed 30 years ago. I used the protocol of Dr. Williams of Harvard University which promotes hydrogen peroxide (food grade) in dilute amounts to reduce my PSA to 2 from 36. I am in tune with your doctoring, Doctor Briffa and believe yours and that of GreenMed the very best of all nutritional information available anywhere, including the internet. I don’t know if the misleading is deliberate. In my opinion, the other explanation is crass ignorance. You are right about it being drivel, I think. The fact that I (and others) are paying for the NHS and the dietician concerned to disseminate this misinformation does grate a bit. My comment above was not published but ‘Tyke Chick’ has noted that comments that were previously visible have been hidden. I have now sent this : Have you decided not to publish my comment? It was not meant to be offensive – merely deeply blunt. Are you picking up that there is a pattern here? 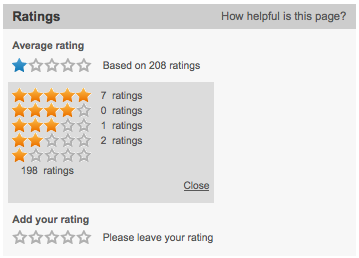 Are you registering your one star on 198 out of 208 ratings? How many other negative comments have you hidden? How can you justify this suppression of expression? NHS Choices?! Come over to the ‘other side’, take off your blinkers, do the good for people that I am sure you really do want to do…stop giving harmful advice, please. This is our NHS and we are sending you a big message, that will only get louder. 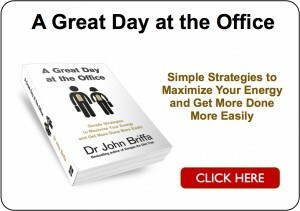 If you aren’t familiar with Dr John Briffa’s website then that is an excellent place to start. Do your own trial, like someone on his comments page has done, measuring serial blood sugars after regular /low carb porridge. Low carb is not no carb, plenty of healthy non grain carbs exist, plenty of fibre exists – in vegetables and nuts and seeds and fruits. Most of us survive not thrive on grains, for some of us with autoimmune disease that is extra important. Paleo Mom, Sarah Ballantyne PhD in the US, gives life changing advice in huge scientific detail, compare that to your page. And weep. Thanks to Ian Day for the hint about nut porridge and also for publishing your BG stats. to back up what you are saying. That really is useful information and I shall try the nut porridge as a change from my usual boiled eggs and 2/3oz of toast (I have to have something to dip in my eggs and it only amounts to 10 grs of the evil stuff. Dr. Briffa – since eschewing all breakfast cereals, in particular the high fibre ones I ate to cure constipation I have never again had a problem in that department and my insides are now quiet and well behaved. Tough cheese, Mr Kellogg. This site is so heartening. Sharing your stories of vastly improved health status, by following Dr Briffa, ( and other enlightened and brave academics), is the best prescription I have received in 2013. My stocks of meds have been disposed of, as I eat very low carb and high fat, real food. Who needs to take medications, or visit the surgery, when they feel so well? All the best for 2014 to everyone pushing to get things better for mankind. I feel privileged to have been directed to Br Briffa’s book, and am re-reading it for 3rd time! Very interested in the comment on prostate cancer. My father, my grandfather on the other side of the family and a great-grandfather all died of it. I think a LC diet will probably help keep it at bay but 5-10 years ago lycopene in foods such as cooked tomatoes (common in the Mediterranean diet) was said to be important. Does anyone know how the evidence stacks up on this? I think its important to look at food as more than a nutrient, I think we can become obsessed by ‘is it low fat, is it low carb’. I am in the best shape of my life right now and I eat all the ‘bad stuff’ – oats, brown rice, ect as well as plenty nuts, seeds, olive oil and avocado. If i am going to make kedgeree, I am not worring about the carbs spiking insulin or the eggs containing cholesterol, I am simply enjoying a home cooked meal. As I reported, My prostate cancer was diagnosed years ago. I believe I held it off from killing me by the intake of broccoli, tomatoes and allied cruciferous vegetables. When it finally spread to my bladder and I noted blood in my urine I started my treatment with hydrogen peroxide. During the years of waiting I had studied many ways to cure cancer and first tried the sodium bicarbonate treatment. (there are many other cures for cancer offered in alternative medicine) Thus I was ready to do something about it when my cancer turned deadly. That slowed my cancer down and apparently cured the cancer in my bladder because no more blood-show. However when it reappeared, I knew the cancer had reoccurred so hydrogen peroxide was next. Organized medicine blocks this study of cancer cure so you really have to watch for it on websites. Another interesting article. I’m currently doing a nutrition course that contains statements that are very similar to the ones in the dietitian’s article. My question is, if these statements are wrong and do not correlate with the science, then why are we being taught it information?! Why are the government/NHS following guidelines that are not supported by the science? The “fiber is more filling” argument always makes me laugh. Ever see people eat popcorn? Nobody eats just one cup. Here in the US they fill up giant bags full at movie theaters. And people are still hungry for sugary sodas and candy, then go out to eat before or after the movie. Give me a small serving of liver pâté, a cup of Greek yogurt, even a handful of nuts, and I won’t want anything else for several hours. An amazing response in 24 hours. It’s almost like a lot of people were strongly motivated to slate this article just after Dr Briffas commentary was published. Of course this is how the real debates about dietary information should be resolved – by X factor style measures of popularity voted on by the public. I don’t advise this approach, but I do support the opportunity for individuals to call out and reject outdated, unscientific and potentially dangerous dietary dogma where they see fit (as I think many have done here). Unless you have some special insight I fail to see how you can know anything about the reasons or identity of who added these ratings. Wayne Bowman – you sound like you have a happy, healthy relaxed life and that’s great. For those of us with genetic hiccups and potentially serious illness, and who want to avoid the almost inevitable side effects of drugs for those problems, we have to dig deeper into lots of aspects of our lives, not just nutrition. Or suffer. Or take the drugs. And suffer. Until and if we ever have DNA analysis at/before birth and understand epigenetics better, it is a very cheery thing for us that we are able to positively influence our health. Australian scientists have found recently some Multiple Sclerosis genes linked to Coeliac disease…but waiting for medical doctors to catch up with what people themselves have been experimenting with for years, in this case being gluten free, well frankly, life is too short. It can be annoyingly detailed process, but there are inspiring ordinary people out there, getting results. And we are all individuals – if I followed Paleo to the letter I’d be miserable, but a little rice seems ok for me, and kedgeree is sensational eh. I was giving my impression (please note word ‘seems’ in my post), and one that is based on conversations with literally hundreds of people who have seen through this sort of misinformation and believe they know better (and I believe are right, too). But most importantly, lest we get diverted from the point of the post, do you think the NHS Choices article and the dietician’s comments were accurate, fair and balanced? There is a strong low carb, high fat (LCHF) movement in Sweden, which has produced lots of cookery books, and newspaper and magazine articles. Some restaurants also offer LCHF dishes just as they do vegetarian dishes. I believe after a big controversy the official dietary advice has been changed from high carb to something more like LCHF. However, bread, potatoes, cakes and pastries and sweets are still consumed in large quantities by most people. Helen, as a Swede living in UK for several years, I had to smile at your comment about low-carbing and Sweden since the movement of LCHF, low-carb-high-fat is probably the biggest in Sweden of all European country, there are numerous blogs, discussion sites, books etc. If you visited Stockholm, there’s even two special LCHF/shops. It’s a pity your friends in Sweden aren’t “LCHFare”. But compared to UK, Sweden is far ahead when in comes to low-carbing. Regarding bread, most people bake there own bread to avoid gluten and grains (and soya) all though you can find a lowish carb bread from Carbzone in most shops. Sian Porters take on Ketogenic diets ! Has Sian been spoofing us all along ? If you search for Sian at Linkedin you find the information below. As you can see a personal website is listed. Click on the website live link and you go to site called dietitians unlimited. The wonderful information above is from the website together with praise for low carb. The $64000 question is, has Sian been spoofing us all or has she seen the light, we need to be told ! I’m really glad people become more reluctant to what such institutions are saying. I’ll be more glad when people start actively questioning their doctor’s claims, and stop treating them like 100% authority. This way we are able to speed up the process of revolution in health, and stop the bad one that was started with and by Ancel Keys. Personally: I’m two months in ketosis (very low carb diet) and I feel great. I lost 10 pounds of fat and preserved all my muscle. It’s amazing how I misunderstood nutrition and health so far. John, this is very conclusive and well written article! Keep up the good work. It is to laugh. The government, any government, cannot be trusted to tell the truth about anything. Politicians and bureaucrats are more interested in maintaining and increasing their fiefdom than they are in the true welfare of the citizenry. Sigh. What chance do patients of the NHS dietitians have of ever shedding the pounds with advice like that. So NHS dietitians do know what you should be eating if they keep up with their continual professional training. Confused what about the Asian continent diet. A lot of rice and or bread, starchy noodles and veg??? The illustration in their text book showed white bread, white pasta, potatoes, white rice at the base of the pyramid…..and the fat and protein, as in the above picture link was near the top of the pyramid, so that the proportion of protein was about 1/4 of the carbs, and likewise with the dairy. Fat was at the top along with cakes, sweets etc that you shouldn’t have much of. There’s little I can do in school other than go along with what is taught, as they are following the National Curriculum……so how is this message ever going to get out when the next generation are being brainwashed in this way of eating? I wonder if the Health Visitors are still dishing out the same sorry advice as they did when I had my first? In effect the food pyramid needs to be turned upside down for true healthy eating. Sadly that means turning dietitians, the NHS & DUKs upside down as well. Now I am thoroughly depressed. I have several stones to lose and checked out the meta-analysis of the 23 diets. Yes at the end of 6 months more weight was lost following a low carb plan, but after six months their weight seems to creep up again, not to the previous levels, but they don’t carry on losing. Why is that? What is happening? Does this mean that even eating a low carb way for the rest of my life I still will not be a normal size and weight? Yes I may well be healthier blood test wise, but will still be fat. @Elle it depends on the study, often participants drop out for various reasons but their baseline weight can be included in the statistics which makes the results look worse. You need to check studies where only completers are reported. Having said that it is true of any diet or intervention that reverting to old behaviours after 3 or 6 months will return you to gaining weight. There’s a 20% carb Swedish diabetic study with 44 month follow up that is more encouraging, for what it’s worth I went from 16 stone to 13 in 6 months on low carb about 4 years ago and am currently at 12 stone.